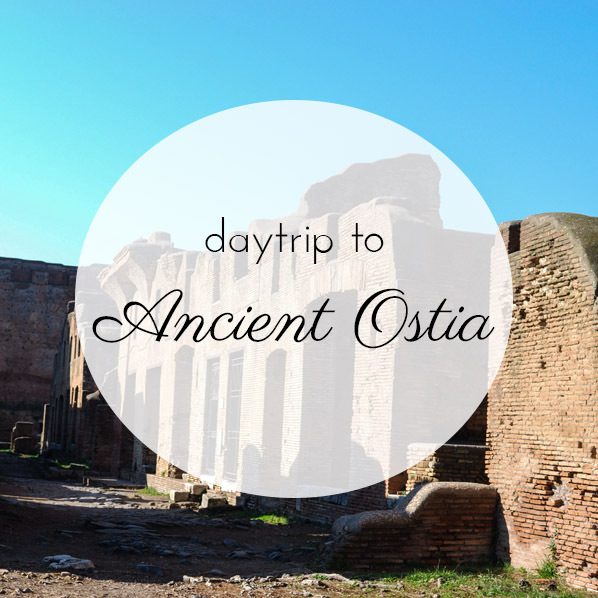 Visiting Ancient Ostia is a perfect daytrip from Rome: easy to reach by train and not very crowded. This site is essential to understand the daily life in the Roman Empire. The city was the harbour of Rome on the Tyrrhenian Sea, and was the center of Roman trades. With the fall of the Roman Empire, the city was slowly abandoned due to the threat of repeated invasions and the decline of the commerce. In addition natural disasters (floods) changed very much the area: Ostia has been covered and forgotten till the 1938. Walking on the main street you'll admire mosaics, thermal baths, theater, ancient "public toilets", apartment buildings, bars. If you love Archaeology, dont' miss the chance to visit this site. Meeting point: At the entrance of the train station "Porta San Paolo", we'll take the train together (Roma-Lido railway). Details will be provided at the moment of the booking. - I'll meet you in Rome and we can travel together. If you prefer reaching Ostia by yourself, I can meet you directly at the ticket office of Ostia. -The site is NOT wheelchair friendly, cause the floor is paved with ancient cobblestones and there are no ramps. There is an alternative path which goes only through half site, ending by the Cafeteria. Please inform the guide even if you've problems (knees or hips) in walking for hours, I can plan a shorter tour. Admission tickets are extra. You can buy on the spot at our arrival in Ancient Ostia. The ticket cost is 8€ a head. In case of exhibitions inside the archaeological site, the ticket price will be increased of € 3,00.